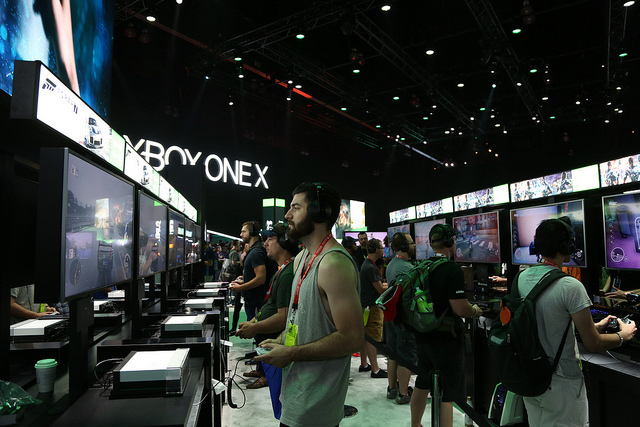 Attendees try out the latest games at the E3 show in Los Angeles. PHOTO: Entertainment Software Association. The annual dream event for all gamer geeks, the Electronic Entertainment Expo (E3), gave us a preview of the upcoming games and hardware coming up in the months ahead. In Los Angeles last week, E3 2017 seems to belong to the game titles themselves, unlike last year, when newly unveiled hardware stole the show. With Sony and Nintendo already launching their updated and new game consoles earlier, the main announcement on console hardware from the show came from Microsoft. Take a gander at the new Xbox One X, previously codenamed Project Scorpio. Touted as the world’s most powerful console, the Xbox One X has an 8-core Custom AMD CPU that is clocked at 2.3GHz, 12GB GDDR5 of memory and 6 Teraflop* GPU under the hood. On top of that, the Xbox One X also boasts of rendering of 4K games in true 4K resolution. With the Xbox One X’s backward compatibility, you can continue playing over 400 Xbox One and also Xbox 360 games on the technically advanced Xbox One X. You can even continue using your current Xbox One accessories with the Xbox One X. This is great news for faithful Xbox fans. The Xbox One X is launching in the United States on November 7, 2017 – it might reach Singapore around that time or later at S$699. In terms of technical specs, it seems quite a deal, but for a console, the price might seem rather steep. 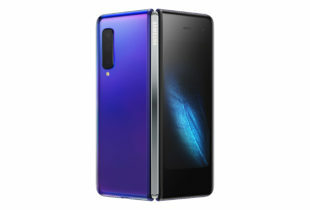 Start saving up now! I’m not sure how I feel about playing these on VR though. I can’t imagine trying to shoot down dragons in Skyrim in VR without feeling sick. And shooting with floating guns and casting spells with disembodied hands hovering in front of your face will take a bit of getting used to. The game is set in ancient Egypt while the protagonist is an Egyptian named Bayek, who can use his pet eagle to scout out the terrain, kind of like how one uses a spy drone. From the gameplay trailer, Assassin’s Creed Origins looks like it has a lot more RPG elements than its predecessors. There is an interface that shows what Bayek can equip, and he can also pick up and keep equipment from fallen enemies, which is great for us looters. Performing kills also gains him XP (experience points) and AP (ability points). Combat also looks more nifty, with Bayek seen using his shield and khopesh (an Egyptian sickle) to fight. He can also fire multiple arrows at once and can shoot from a bow while jumping. And the world looks like a great big place to explore and lots to do! As a big fan of Assassin’s Creed and RPGs, I’m definitely looking forward to this one! In Anthem, we see the game character, belonging to a group called Freelancers, walking in a bazaar with gigantic machines strolling and donning exosuits known as Javelins. Together with a buddy, she descends into a rich jungle that is overrun by herds of exotic creatures as well as big hostile looking ones. The exosuit lets your character fly around and even go underwater, discovering new places along the way. Anthem looks like a beautiful world to explore but filled with dangerous creatures that you will probably have to fight. We also witness some cool weaponry being used, and great opportunity for some co-op play. Fans of sci-fi shooters will look forward to this one! Although the trailer is really short, we see Aloy exchanging tough words with some guy and said she is fighting for the mountain, and a badass machine which she is likely to have to take down. We see the game set in a frozen and cold landscape where the Banuk tribe hangs out. Whatever it is, I’ll take any excuse to play more of Horizon Zero Dawn! The Lost Legacy is a multiplayer DLC for Uncharted 4, which follows the adventures of treasure hunter Chloe Frazer in search of an ancient Indian artifact, the Tusk of Ganesh. We see her working together with tough-as-nails Nadine Ross, the mercenary from Uncharted 4 for the artifact and being threatened by a dangerous dude with glasses. Set in the jungles of the Indian peninsula and in home of the former Hoysala Empire, the new Uncharted looks like an epic adventure fraught with thrills, spills and intricate puzzles. Metro Exodus is the third installment of the survival first person shooter Metro series that is set in post apocalyptic Russia after a nuclear fallout. The trailer shows a lot of sweaty palms-inducing moments with terrifying creatures jumping out at you and a hauntingly beautifully scenery of destruction all around you. Definitely one to watch out for if you like action shooter games set in a post nuclear fallout environment. It is always fun to play Mario as he explores cheery and colourful environments. In Super Mario Odyssey, Mario travels around the beautifully rendered world collecting coins, swatting flowers, jumping on stuff and tossing his cap, Cappy, at creatures in order to let Mario “possess” the creatures that Cappy lands on. It looks like Mario is attempting to rescue Princess Peach from wedding Bowser in this game. Go get her, Mario! One of the new exclusive (that is, non PS4) games for the PC/Xbox One platform is Sea of Thieves, a cooperative multiplayer swashbuckling pirate adventure on the high seas. Gamers form teams to complete quests, explore and search for treasures on land and in the deep seas. Of course, there are others in the world doing the same and there will be skirmishes involving firing cannonballs (and yourself) at other ships. The artistic style of the game reminds me of Torchlight and Team Fortress 2 with exaggerated polygons and caricature-styled graphics. Sea of Thieves is an Xbox PlayAnywhere title, so gamers on PC and Xbox One can play together online. Another pirate-themed game showcased in E3 2017 is Skull and Bones, an open world, multiplayer pirate game where you play a pirate captain. Skull and Bones was developed after Assassin’s Creed: Black Flag, which featured battles in the high seas with ships. What’s good to know is that Skull and Bones is credited to Ubisoft Singapore and Chengdu, as well as Blue Byte who created Serf City, one of the most addictive medieval sims ever back in 1993. And…a Pokemon role-playing game (RPG) developed by Game Freak! Nothing to show for, no title and no dates to report but that will be really great! 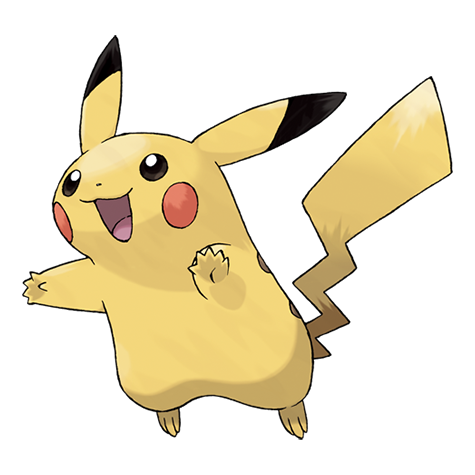 Here’s a cute picture of Pikachu in the meantime. What it isn’t: The name of a bunny. What it is: A trillion floating point operations per second (FLOPS). So FLOPS is a measure of computing power. What it is exactly isn’t very interesting or exciting. Just know that Xbox One X has 6 teraflops. What it isn’t: Going back to your ex. What it is: The ability for a console to play games made for the previous generation console. The new Xbox One X can play games made for Xbox One as well as Xbox 360. 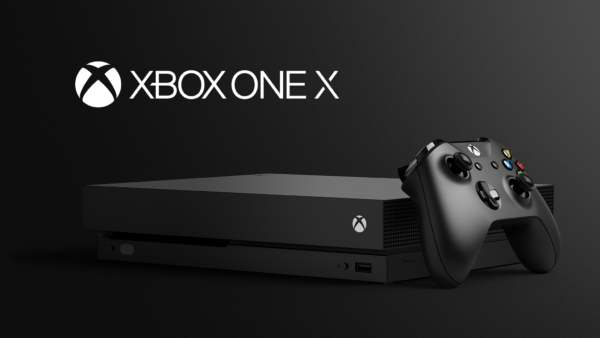 What it isn’t: Some kind of cryptic puzzle – how many X’s are there in Xbox One X? Is it one or is it three? What it is: Microsoft’s latest console after the Xbox One – coming in November 2017. What it is: A true 4K TV has a resolution of 4,096 x 2,160 pixels, hence the 4K refers to four thousand pixels. TVs labelled Ultra High Definition (UHD) have 3,840 x 2,160 pixels and may still be touted as 4K. In comparison, High Definition (HD) TVs consist of 1,920 x 1,080 pixels resolution.